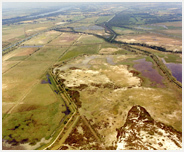 The Vigueirat Marshes welcome you in groups throughout the year. You can discover this nature reserve in various ways, for a total immersion in an authentic place: horse-drawn carriage, walking and hiking with wildlife hides, observation towers, to satisfy the nature and birds lovers. Guided tours for groups : booking only. Possibility to have a guided tour in English, German and Italian subject to the availability of translators – extra cost to the customer. Discover all the riches of our authentic territory.